A Spring or Summer stroll around the marina or nearby promenade, and the wind is picking up. 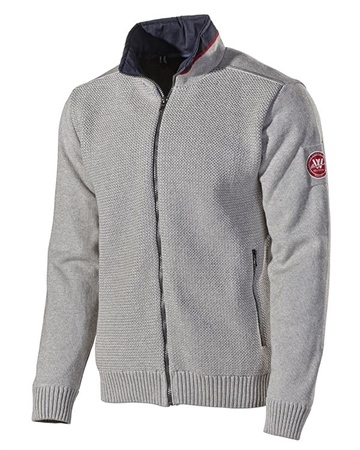 Pop on this full zip windproof sweater and youll be sure to keep the chill away. Its designed with a red contrast stitch at collar, flat knitted arms and back, and a pattern knitted in front. A wide cuff keeps the wind out and its a unisex sweater so it works for both ladies and men and for all ages! Super quality as all Holebrook products. Arrived quickly and competitively prices as well! Bought for my husband for Christmas so difficult to comment fully but product looks great. As advised have bought a larger size so am hoping it fits ok. Very efficient delivery.